On May 12th, 1865 Thomas Bernard Costlow (1865-1943), my 3rd great uncle, was born in Cambria County, Pennsylvania. The very next day the final battle of the U.S. Civil War ended in Palmito Ranch, Texas. One month before, Robert E. Lee surrendered the last major Confederate Army to Ulysses S. Grant and President Abraham Lincoln was assassinated at Ford's Theater in Washington D.C.
Thomas was the youngest of about 10 children of James Costlow (1822-1904) and Sarah "Sallie" Reynolds Costlow (1824-1865). Two weeks after his birth his mother died. 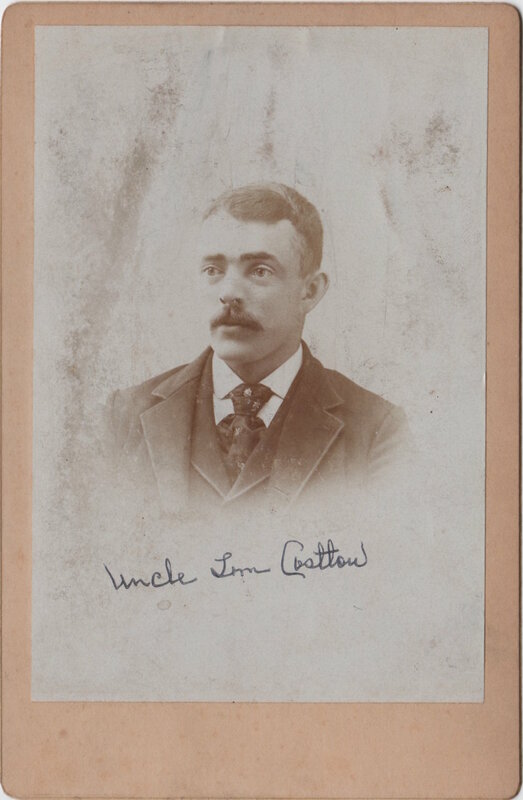 "Uncle Tom Costlow" was born in turbulent times. I am fairly certain that this photograph is of Thomas Costlow. 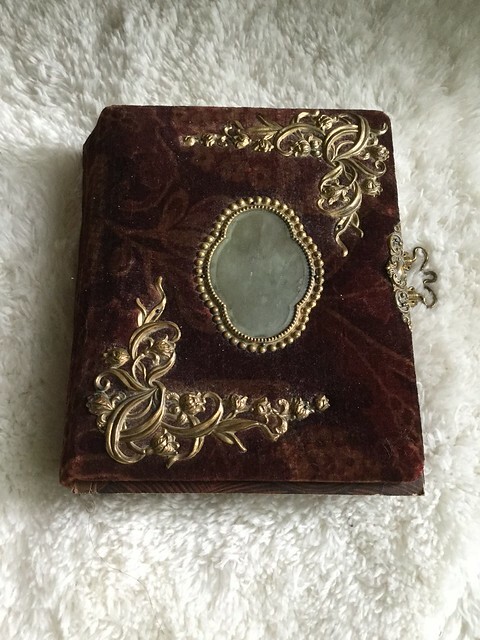 It appears to be labeled by my great grandmother, Ida Rhoads Sears (1900-2002), and was in the 100+ year old heirloom photo album that she kept and passed along. Thomas was the brother of Ida's mother, Mary Margaret Costlow Rhoads (1858-1947). Thomas Costlow married Alice Elizabeth Plummer (1870-1919) in 1894. My records indicate that they had at least 8 children together. I'm just beginning to research Thomas and his family. What little I know comes from U.S. Census records and his death certificate. A farmer, he appeared to live in Pennsylvania for his entire life. He was widowed for more than two decades before his own death. At the very end of his life it seems likely that he was living with his oldest daughter Anna Costlow Barrett (1895-1967) and her husband, Tom's son-in-law, John. I am looking forward to learning more of his story. As I think about Thomas and my family tree I am reminded of the mission of The Psychologenealogist: Exploring the spaces where psychology, genealogy, and history converge - one story at a time. Here are some of the questions I have about. What newspaper articles are there that might tell me more about Thomas's life? His occupation was listed as a farmer. Did he do anything else? How did his mother die? Was it related to his birth? How did the Civil War impact the psychologies of the children born in the shadows of its conclusion? Thomas's father, James Costlow (1822-1904) was a veteran of the Civil War. What sort of horrors did he see and what did he tell his children about them? What research is there on the impact of decades long widowhood on the emotional lives of those who have lost spouses? How does losing a mother in infancy impact infant well being? This is the 16th of 52 weekly posts planned for 2018. It was inspired by the #52Ancestors writing challenge issued by professional genealogist, Amy Crow Johnson. The challenge: once a week, for all 52 weeks of the year, write about a relative in your family tree.